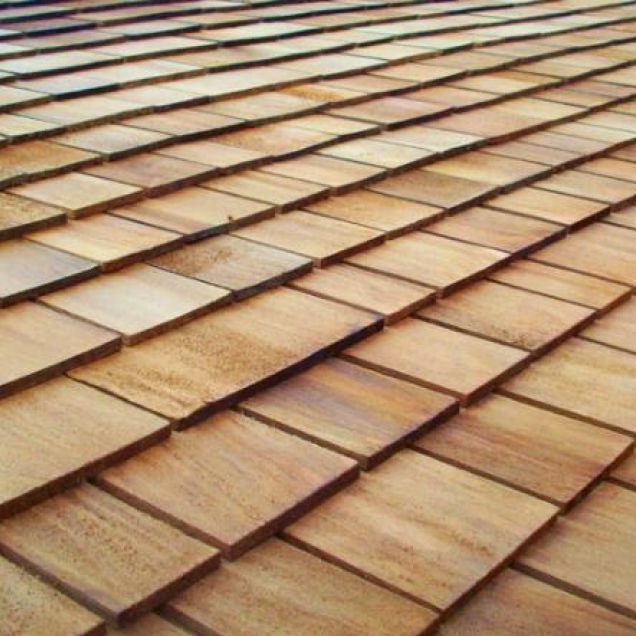 Western Red Cedar SHINGLES (Canadian Red Cedar) saw cutting surface, fine an vertical grained. The installation is done by overlapping of 2/3 of the length (15 cm net exposure). 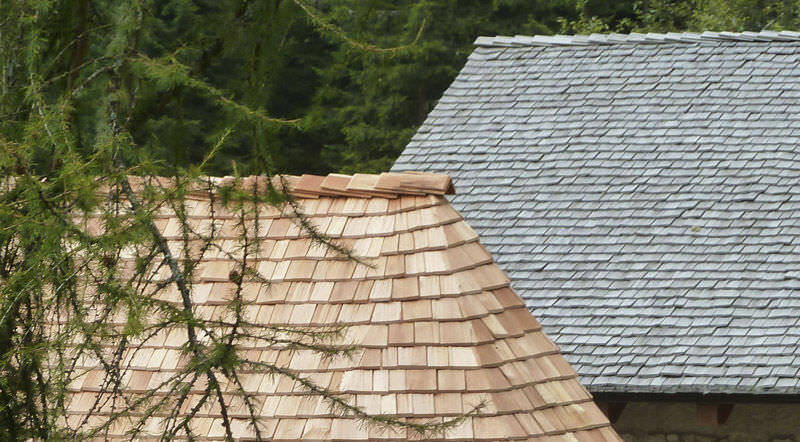 Fastening the shingles on the below structure with galvanized nails length 50 mm. Measures: Lenght 45 cm, 15 mm thickness, widht from 8 to 25 cm.